Unlike most of the dull grey moons in the Solar System, Hyperion's color is a rosy tan, as this view shows. The origin of the moon's unusual hue is not known. 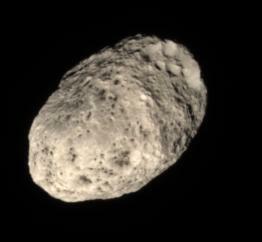 Some scientists suspect the color comes from falling debris from moons further out. 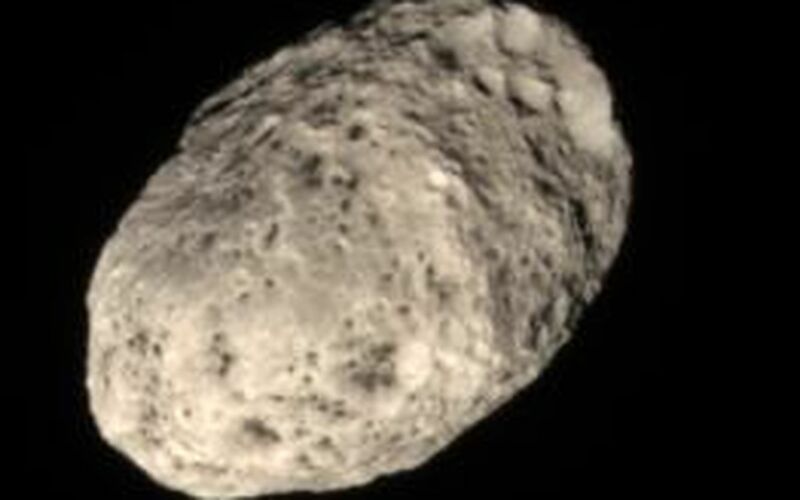 A similar origin has been suggested for the dark reddish material on Saturn's moon Iapetus. Images taken using red, green and blue spectral filters were combined to create this natural color view. 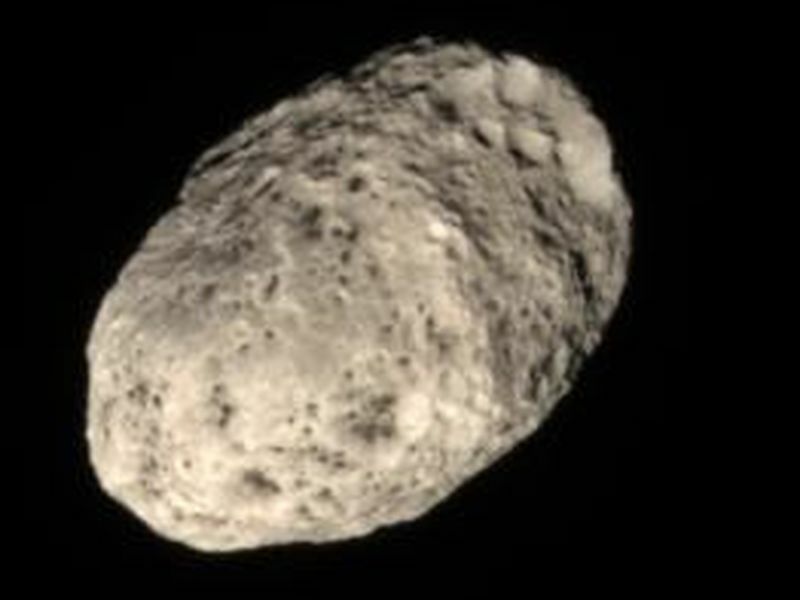 The images were taken in visible light with the Cassini spacecraft narrow-angle camera on June 28, 2006 at a distance of approximately 291,000 kilometers (181,000 miles) from Hyperion. Image scale is 2 kilometers (1 mile) per pixel.